Microsoft’s new Windows 8 operating system is a combination of two very different user interfaces, with each best used in a different way. While the whole system is touch-enabled, only the Start Screen, with its own tablet-type apps, is fully optimized for a touchscreen. The second interface — the traditional Windows desktop — is still best used with a physical keyboard and a mouse or touch pad. 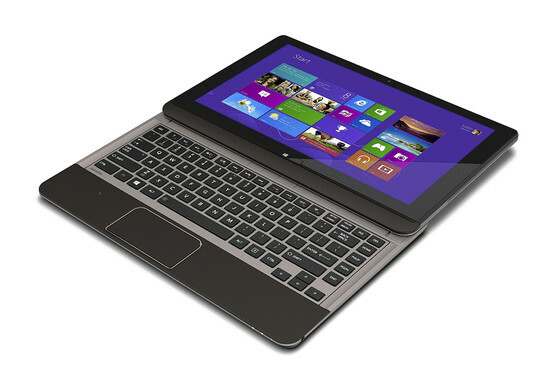 So, hardware makers are turning out convertible PCs that attempt to function as both tablets and traditional laptops. These aren’t merely tablets with thin, optional keyboard covers; or standard laptops with touchscreens. They are attempts to create true hybrid devices that can look and work like either a regular laptop or a touch-operated tablet. 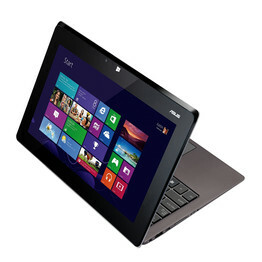 Two for One: The Asus Taichi 21 has two screens: A nontouch display inside the lid and a tablet-like touchscreen on the outside of the laptop lid. The models take different approaches, each of which has its pros and cons. So, this week I decided to test three from well-known PC makers. These machines have three things in common. At $850 to $1,299, they are far costlier than the midrange Windows laptop, which falls into the $400-to-$700 range. All use full Windows 8, not the more limited Windows RT, so they can run popular Windows desktop software. And switching between their dual modes takes some adjustment. The HP Envy x2 takes the simplest approach of the three, and is the only one that allows you to use a normal, thin tablet, separate from the keyboard and touch pad. It’s also the least expensive of the three, at $850; and scored the best battery life in my tests. But it has some drawbacks. A gray, aluminum machine, the Envy at first looks like a plain touchscreen laptop. But when you slide a button on the hinge, the screen pops off to become a slender, 11.6 inch tablet you manipulate by swiping, tapping and using an on-screen keyboard. When you want to use the physical keyboard and touch pad, you pop the screen back onto the base portion and you have a laptop again. Let It Slide: The screen of the Toshiba Satellite U925t slides over the keyboard to turn it into one thick tablet. Other PC makers are making detachables, but unlike some, Hewlett-Packard has chosen to hide the attachment mechanism in a sort of hump below the keyboard. This gives the machine a rear rise, good for typing, but it means it can’t sit flat on a desk. 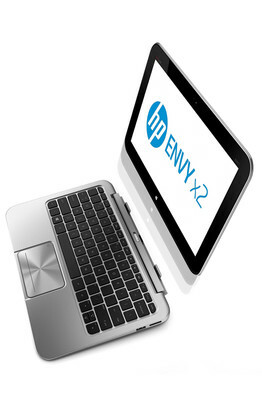 In laptop mode, the Envy x2 weighs 3.1 pounds. The tablet alone weighs 1.5 pounds. I applied my tablet battery test to the Envy, since it actually can be used as a free-standing tablet, and my laptop-battery test to the other two, since their screens are fixed to their keyboards. Both tests are harsher than those the industry uses and involve playing media continuously with Wi-Fi on, power-saving features off and the screen at a bright setting. Because the Envy has two batteries — one in the tablet and one in the base — it did pretty well. The tablet alone lasted five hours and 15 minutes, and when it died, I snapped it back onto the base, which kept it running for another three hours and 22 minutes. That combined total of eight hours and 37 minutes still wasn’t as good as the Apple iPad’s nine hours and 58 minutes in the same test, but it was better than some other tablets, and in normal use, would likely approach 10 hours. You might do much better running strictly in laptop mode, with both batteries together. Thin Option: The HP Envy x2 is the only one of the three that gives you a normal tablet, separate from the keyboard and touch pad. The biggest downside of the Envy x2 is that it uses a relatively wimpy Intel Atom processor, which hasn’t powered many popular tablets. I found it adequate but with some latency, and, on one occasion, it produced choppy video briefly. (The other two machines use full-powered Intel laptop chips.) Also, the Envy has the least storage of the three — 64 gigabytes — though it can be expanded with memory cards. Two more things: Even after days of use, I found it hard to re-attach the screen. I also kept accidentally triggering the Envy’s power switch, which is flush with the surface at the top right rear of the screen, where you might hold it. The twist with the Asus Taichi 21 is that it has two 11.6 inch screens: A nontouch display in the usual position inside the lid and a tablet-like touchscreen on the outside. Yes, unlike any laptop you’ve probably owned, the cover of the Taichi 21, which starts at $1,299, is glass. In my tests, the system worked. But it’s all very complicated. And to add complexity, a second button can disable the outer screen altogether, turning the expensive machine into a non-touch, standard notebook. Also, even though the Taichi is as light and thin as a laptop, it makes for a heavy, thick tablet. The Taichi is 2.76 pounds and has 128 GB of storage. But it costs $1,299 to $1,599, depending on configuration, and battery life was poor. I tested it with both screens on, since the company touts this feature, and got just a bit over three hours. I estimate that with only one screen and more normal usage, you’d get two to three more hours. Toshiba’s Satellite U925t lacks a name that rolls off the tongue, but it has a screen that slides, which transforms it from a laptop to a tablet. You just push the screen back into a flat position and then slide it toward you over the keyboard, and voilà! You now have a big, bulky, 3.35-pound tablet with a 12.5-inch screen. Not only that, but in laptop mode, the slider mechanism forces the $1,150 PC to cram its top row of keys right up against the screen and to offer only a shrunken touch pad (though it has a touchscreen, which lessens the need for the touch pad). The Toshiba has 128 GB of storage, and in my laptop battery test, it turned in a mediocre time of four hours and two minutes, which likely would approach five hours in normal use. It’s loaded with craplets — software and offers many folks don’t want and laboriously delete. There’s nothing wrong with the slider concept, but I doubt many people would use a computer this thick and heavy as a tablet for very long. None of these three convertibles is optimal and different people will have different tastes. But as someone who values tablets partly for their sleekness, I’d pick the HP, which includes a real tablet, if I had to choose. I only wish that, as a laptop, it had more storage and a snappier processor.